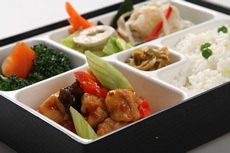 To make your flight more enjoyable, travelers can pre-order hot meals online. 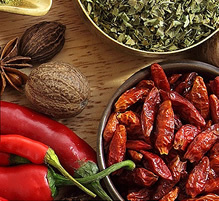 Choose from a range of local specialties including vegetarian, Halal and Kid’s meal options. 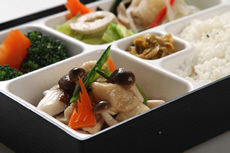 Mushrooms, berries, tree fungus, lotus seeds, carrots, and other fruits and vegetables steamed with a light flavor. Tender flatfish served with sides of ham, carrots, green soybeans, and corn. Healthy and nutritiousl! A Shanghai classic mixing pork, potatoes, mushrooms, tofu, carrots, and soybeans cooked in a secret sweet sauce with fresh shrimp and vegetables. Chicken floured and cooked to a crisp and spicy perfection with special local ingredients. Pork slices simmered with carrots, radishes, and potatoes in a special sauce on rice. Simmering yellow curry with beef, carrots, and onions served on a bed of fragrant rice. 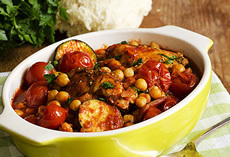 Meals should be reserved 4-36 hours prior to departure (the specific booking time depending on the flight). 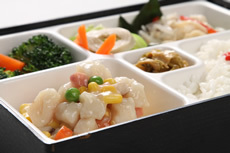 Spring Airlines reserves the right to change the meal schedule from time to time based on season and route. 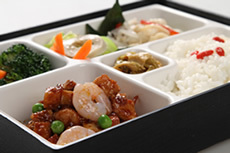 Onboard meals will be available for purchase in the cabin on flights where meals cannot be pre-ordered. Meals will be served once onboard meal service begins. Should you have any requirements regarding the timing of you meal service, please inform our cabin crew. Should a passenger change their flight, please ensure that this changes are completed 36 hours prior to scheduled departure to ensure the pre-ordered meal will be provided on your new flight. Meals are seasonal and subject to availability, Should your pre-ordered meal not be available a substitute meal shall be provided free of charge. Should your flight be cancelled your meal cost will be refunded. For details on this please contct our Customer Services Hotline on (+86 21) 95524.